In light of my design studio’s new branding initiative, and based on some positive feedback about the lettering, I decided to expand the logo into a whole typeface. 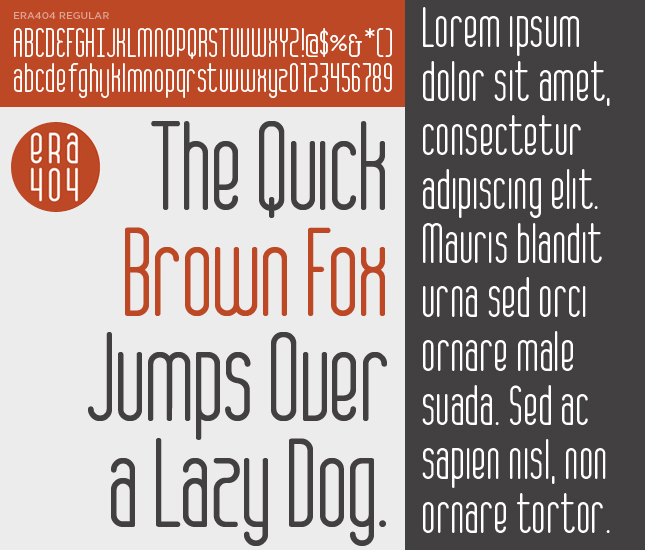 The font, which contains 256 glyphs and ligatures, is called era404 Regular and can be downloaded from MyFonts.com (along with my previous font, [d]online). Please only use it for personal use. Contact me (or post a comment) if you’re interested in commercial licensing of either typeface. And as always, I’d love your feedback.